A pack designed to highlight a whole new series of incredible mods for Minecraft. Like FTB Horizons? Play the GigaTech mod pack. Construct factories, work magic, go to space. So much to do along with classic mods like Industrial Craft 3, Buildcraft 3, Thaumcraft and much more! Done! You can now player singleplayer FTB Horizons or multiplayer FTB Horizons. That's it! 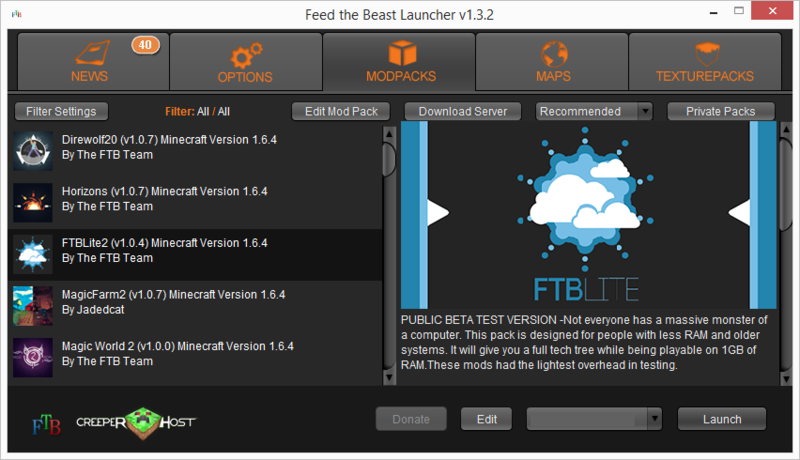 You have successfully installed FTB Horizons and can now launch it.